It is amazing what some people will throw away. 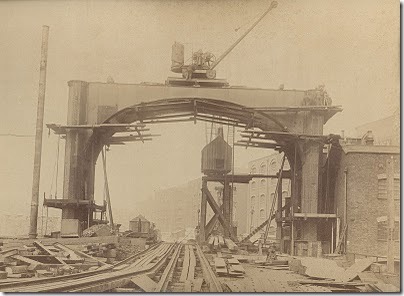 The Exploring Westminster blog has a series of posts that show photos taken while Tower Bridge was being built [^]. Apparently these photos were found in a skip outside the office of the original builders of the bridge. The second set show a slightly later phase of construction [^], with the bridge looking a little more familiar. The final six still haven’t been posted but I’m waiting for them with bated breath. I guess that really proves the point that one man’s trash is another man’s treasure. The very fact that anyone would even consider throwing these photos away is almost beyond belief; they are a valuable part of an icon’s history. Thank you Peter Berthoud from bringing these photos to the wide internet, and thank you to his neighbour for rescuing these gems from destruction.